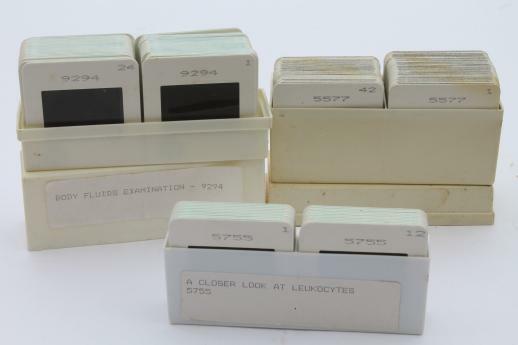 Lot of over 120 vintage medical slides produced by the American Society of Clinical Pathology (ASCP). 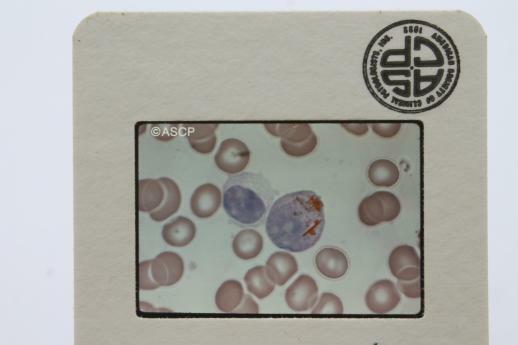 They seem to largely be of leukocytes (white blood cells) etc.. 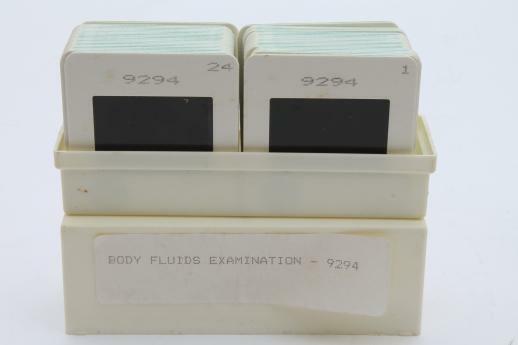 They are 35mm film projector slides (not microscope slides) and they measure 2" square over the cardboard mounting cards. 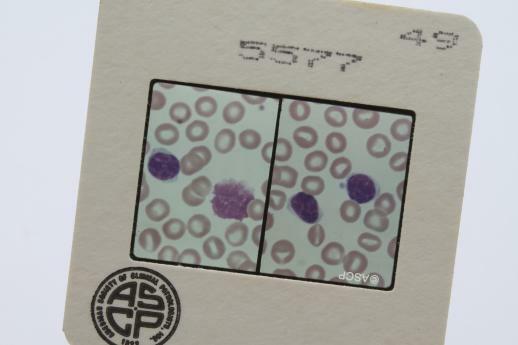 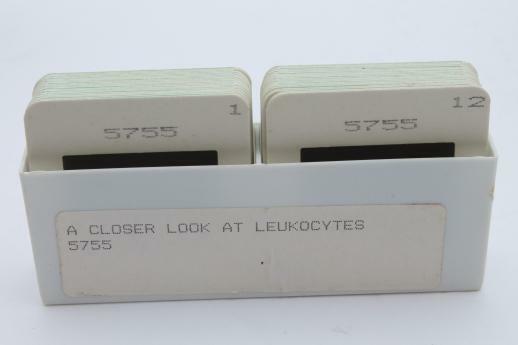 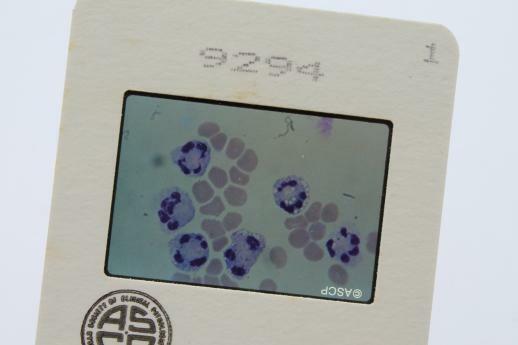 One group is marked A Closer Look at Leukocytes - 5755 (slides 1 through 22), another Body fluids Examination - 9294 (slides 1 through 44). 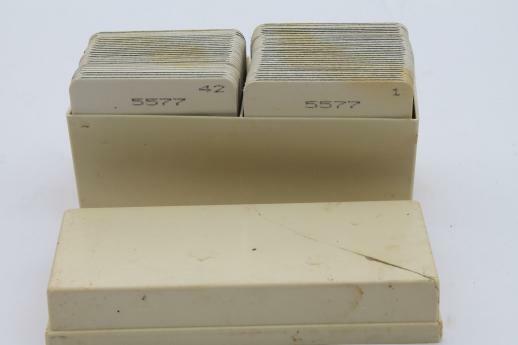 The third group is numbered 5577 (slides 1 through 56).